My fiancé and I are having a Disney Fairytale Wedding on Castaway Cay, in September of 2019, and we couldn't be more excited! We have most everything lined up, except for a photographer. I have heard several mixed reactions regarding the use of Disney's photography services for weddings. DCL of course has their photography contracted out to 3rd party, Shutters. If you have been married on a Disney Cruise/Castaway Cay, I would LOVE to see any and all photos you have from your wedding, taken by Disney photographers. While I would love to bring my own photographer along, I have been quoted on prices ranging from $4,000-$6,000. While I understand that bringing along a photographer is more expensive due to their cruise fare and travel expenses, this is simply too far out of our budget to consider. We also have close friends who are photographers, but quite honestly we would prefer them to be a part of the wedding fun, instead of just filming/photographing it, if at all possible. 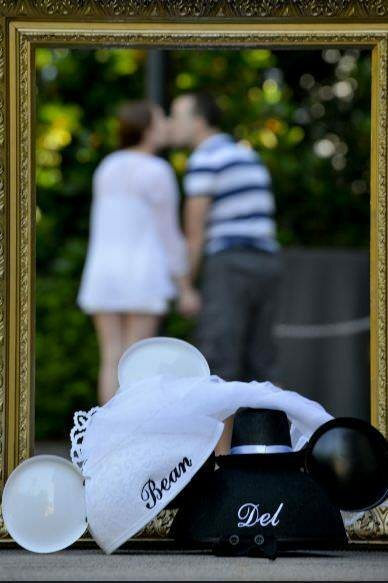 Disney has wedding photography packages ranging from around $350-$1000. Using one of Disney's photography packages on board seems to be our only feasible option at this point. I would love to see any photos you may have from your DCL wedding, taken by Disney's photographers. Whether you regret or stand by your decision to use Disney for your photography, I would really appreciate seeing first hand what to expect. My daughter did not get married in WDW, but she did spend part of here honeymoon there. She had a photographer and videographer at her wedding in New York, then I bought her a short session with a Disney photographer. She chose to do it in Epcot since she was staying at The Boardwalk. As a photographer enthusiast I was not overly impressed with the skill of the photographer. But what you do get is access to areas that you wouldn't normally get. Then she had another photography session on the second half of her honeymoon in Playa Del Carmen and the photographer there was so much better than Disney. If you would like, we can figure out a way that I can show you all the pictures. Let me know.